It’s been a long time since we wrote a blog and no better way to break the absence than to talk about this absolute beau. The 24th of March is a day that will forever stick with us because it is the day that the Castle Hotel lost one of its greatest chefs. So I wanted to write a blog about Chef Carl Abrams. 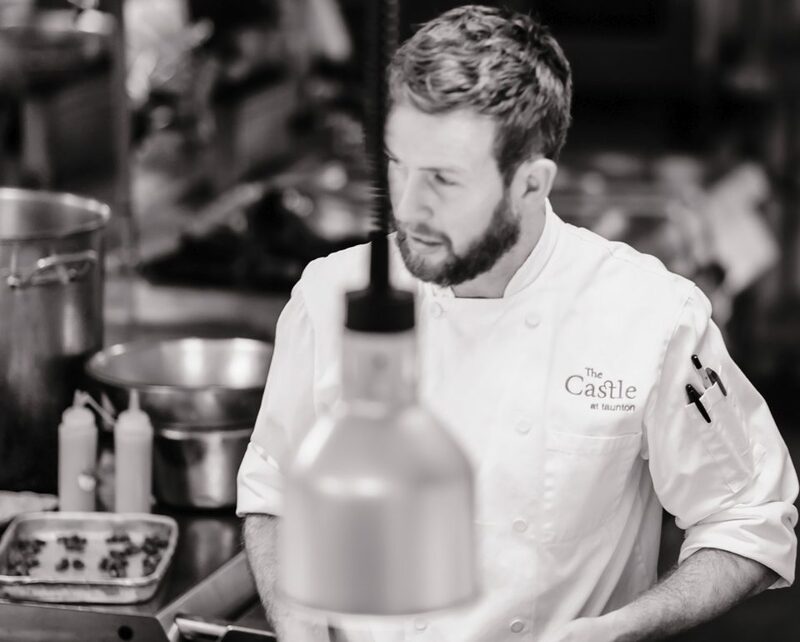 In 6 years of being at the Castle we’ve promoted 3 people to the highly acclaimed status of Senior Sous Chef – Carl was the last. He was only promoted in January having pushed himself for the previous 6 months to prove he was ready. He followed in the footsteps of John Godfrey (aka Gluten Free) which were tough boots to fill, but Carl was enjoying the new role. To sum Carl up in two words, I’d say kind and caring. When Carl started in November 2014 he was on a basic salary but as soon as payday would come he’d be in with jellies and coffees for everyone. He was always caring to younger members of staff and a natural calm leader. He had a way of communicating that was amazing and I personally learnt a lot from him. In the last 6 months people would go to Carl over me and Hugh and it was so nice seeing that growth. His confidence bloomed over the time with us and we were so lucky to have had the time with him and to work with him side-by-side. His personality was one that was an instant hit with people. You felt at ease with Carl and could really laugh with him. He was loyal to everyone both inside and outside of work. So in the aftermath, all that’s left are questions – a lot of ‘ifs’, ‘whys’ and ‘maybes’. What we’re doing is healing and remembering the good times. All the fun stories of our hopeless 5 aside Castle Hotel football team which conceded on average 10 goals a game and we didn’t score a single goal! The stories of Carl attempting to run 10k in under 55 minutes… he gave it a good shot – a total of 3 runs! The fun stories of nights out after work! His witty banter and love of a crude joke. His love of a good hair style and his fashion (which sometimes was a little questionable)! The only thing left to say is take stock of what’s around you and live life to the full as Carl did, because in an instant everything can change. Lots of love – enjoy the photos and talk soon.